Even with a runny nose, Abigail is still a cutiepatootie! At almost seven months old, she’s finally cut her first tooth. 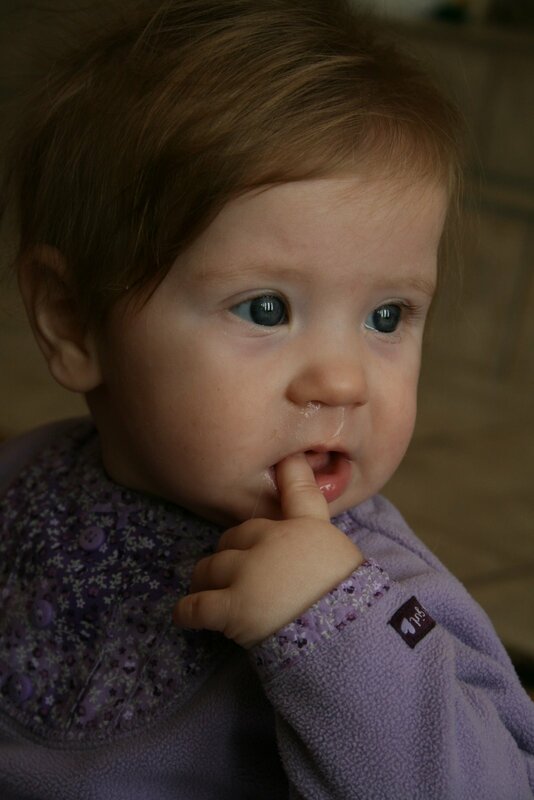 Fingers in her mouth are very common for Abigail these days. She kept us up for two hours last night screaming in pain. My sweet husband went to Walgreens at 1:30 a.m. to get some Orajel for her. It was magic! She fell asleep as soon as he put it on her gums…Daddy is so smart. that picture is beautiful! did you take it with your new camera?